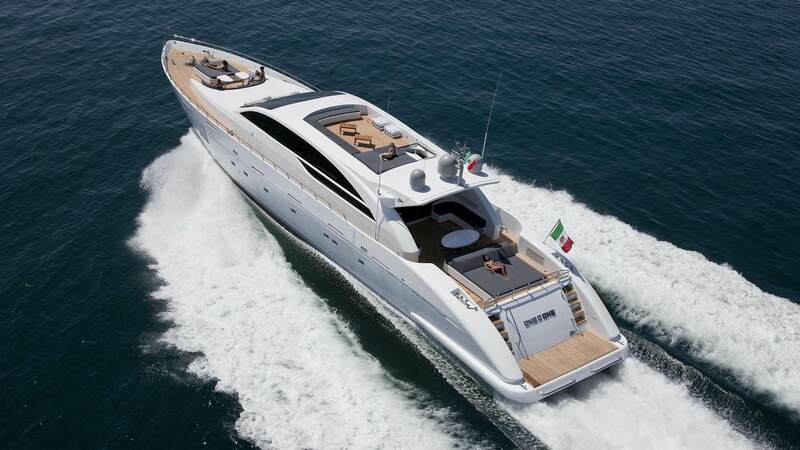 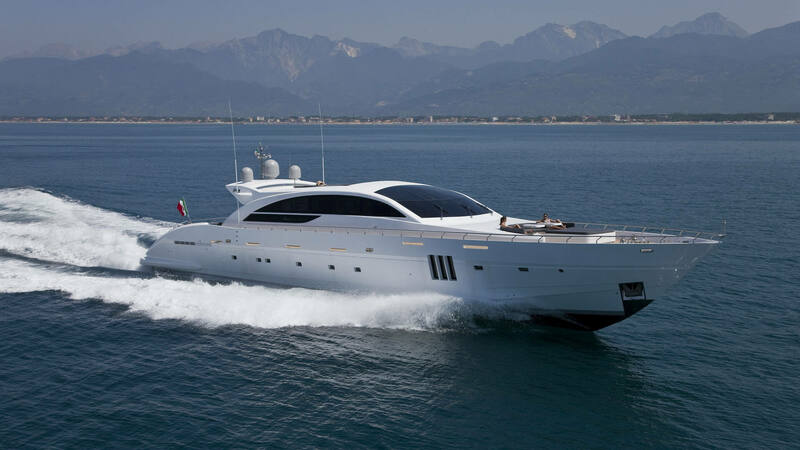 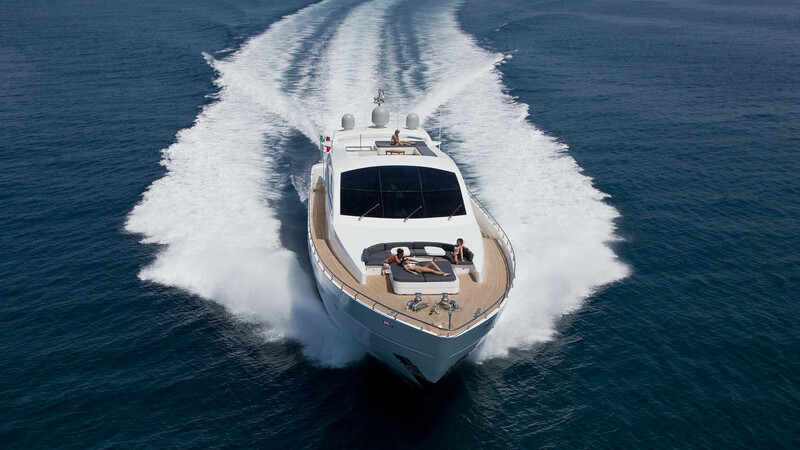 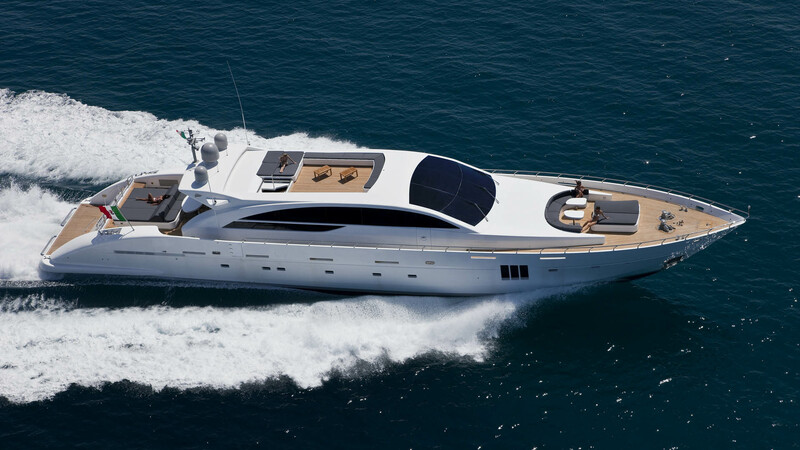 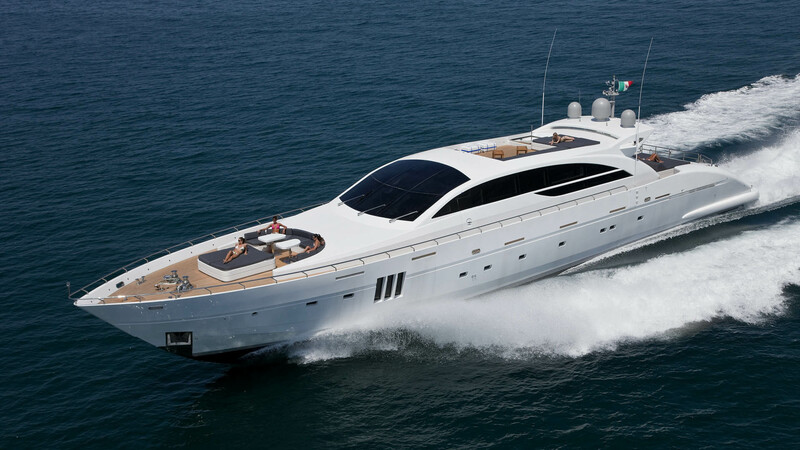 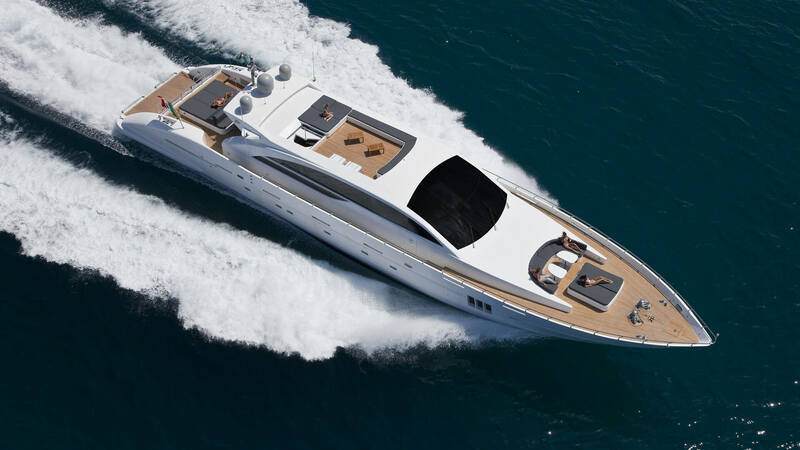 One o one is a Velvet motor yacht 36 meters long and with its 2900 HP can reach a top speed of 35 knots. 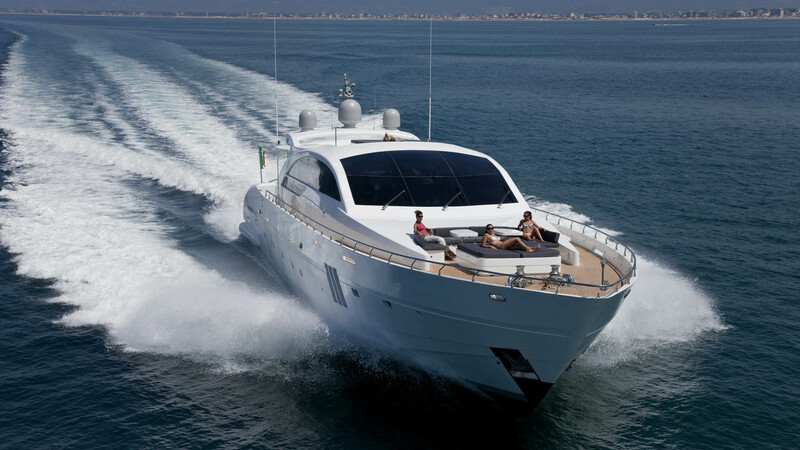 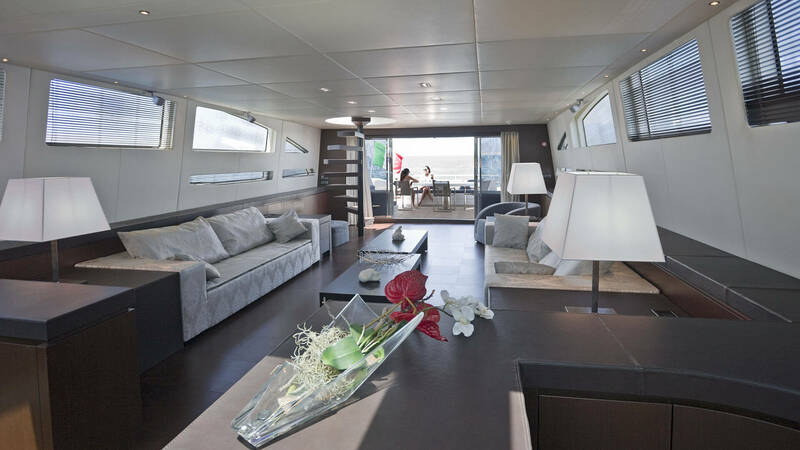 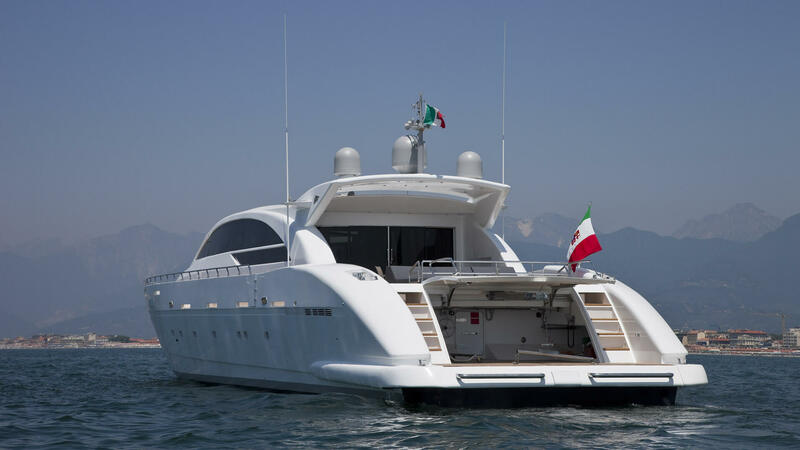 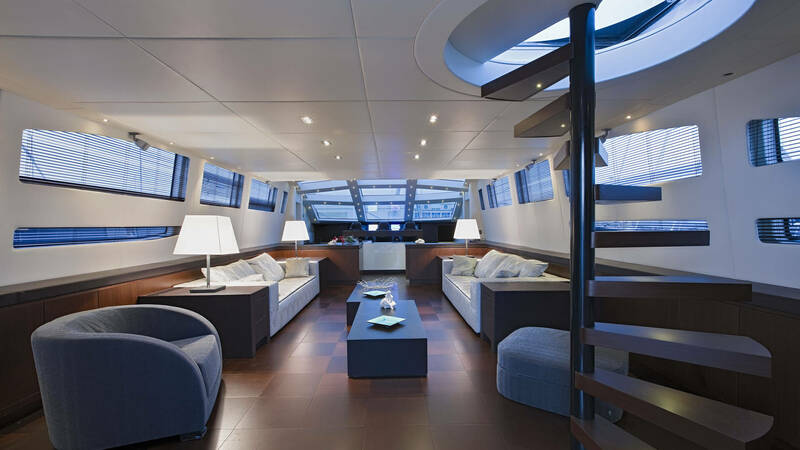 Aboard this boat there are many wide spaces dedicated to relaxation and sun tanning under the banner of total privacy: fore and aft on the sundeck can be found for convivial areas with elegant sofas and chairs. 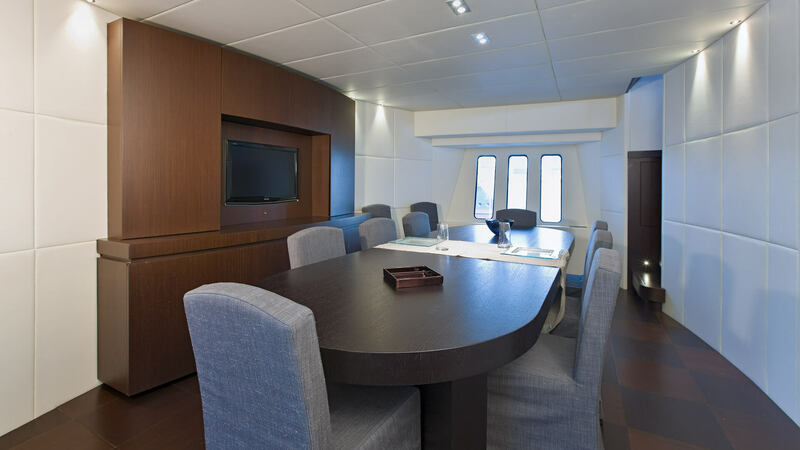 The Interior is modern in its lines and attention to detail; the dining room, where you can enjoy a magnificent view of the surface of the water, it features both the panoramic windows of tail that accentuate the brightness, both for the large windshield that creates an exciting light effect in the dinette. 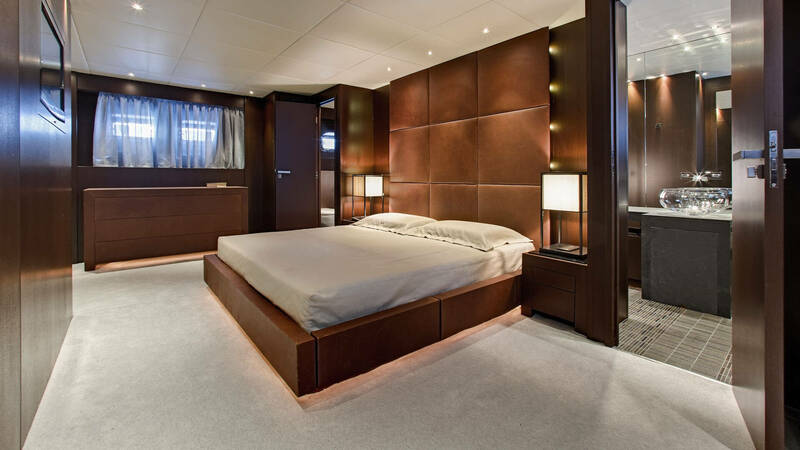 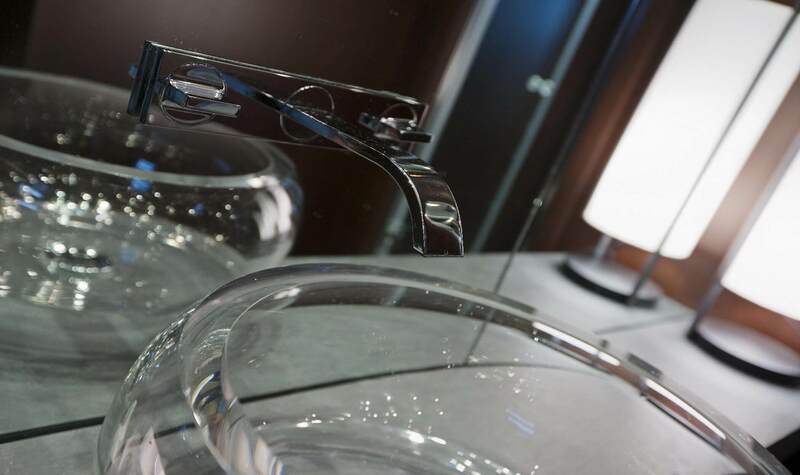 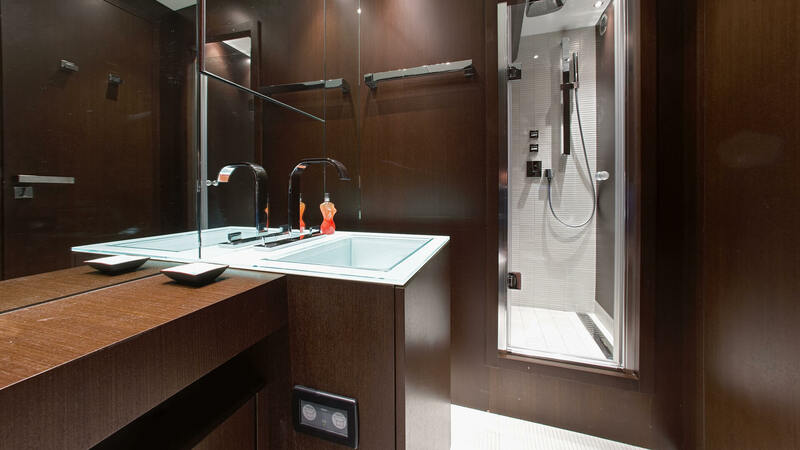 The three cabins have bathroom and separate shower, while the large master suite has two bathrooms with priceless Crystal sinks.